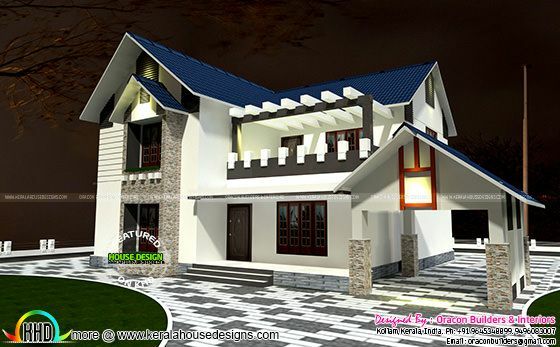 2471 Square Feet (229 Square Meter) (274 Square Yards) sloping roof house plan in with 4 bedrooms. design provided by Oracon Builders & Interiors from Kollam, Kerala. Ground floor Area : 1418 sq.ft. First floor Area : 829 sq.ft. Car Porch : 224 sq.ft. Total Area : 2471 sq.ft. 0 comments on "2471 square feet 4 bedroom sloping roof"